Alternative Healthcare medicine is a healing practice that is not related to any of the scientific methods of treatment. It consists of a wide range of health care practices, natural products and therapies, ranging from natural herbs to the modified by products extract. It includes various new traditional medicine practices such as homeopathy, naturopathy, chiropractic, energy medicine, acupuncture, traditional Chinese medicine, Ayurvedic medicine, and Christian faith healing. These treatment methodologies do not show relevance to any science-based healthcare system but depending on the natural practices. Complementary medicine is an alternative medicine approach used together with conventional medical treatment in a belief to cure the particular disease. Integrative medicine is the combination of several practices and methods of alternative medicine with conventional medicine. Alternative medical diagnoses and treatments neither taught in medical schools nor used in medical practices. Alternative therapies lack scientific validation, and are usually based on religion, tradition, superstition, belief in supernatural energies or pseudoscience. Regulation and approval of alternative medicine treatment varies from region to region. Alternative healthcare conferences support the traditional strategies and complementary medicine approach for the treatment of various disorders for which even the scientific studies give a negative response. 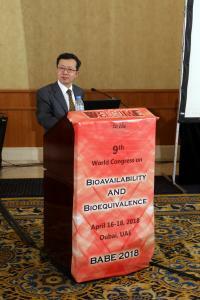 These conferences will focus on the new approaches and practices being used for various cures. Alternative healthcare conferences will set a platform for the various traditional medicine therapists, private practitioners, healthcare providers, skill-based herbalists, Chinese medicine innovators to show the latest achievements in prevention and cure so as to challenge the evidence based scientific discoveries. Conference Series LLC Ltd. invites you to attend 10th International Conference on International Conference on Chinese Medicine, Ayurveda & Acupuncture to be held in Zurich, Switzerland during March 4-5, 2019. The conference highlights the theme “Traditional Alternative Medicine; A way Forward to Better Therapy. Chinese Medicine, Ayurveda & Acupuncture 2019 is a best platform with its well organized scientific program to the audience which includes symposiums, workshops, keynote lectures, plenary talks, panel discussions and poster sessions on latest research and technological developments in the arena as well as therapeutic aspects. The conference invites Herbalists, Acupuncturists, Natural healers, Researchers, Students, Young researchers and business delegates across the globe. Target Audience: TCM Faculty | Acupuncture faculty | Acupuncture practitioners | Tibetan Medicine Faculty | Korean Medicine Faculty | Mongolian Medicine Faculty | Physiotherapist | Folk Medicine Faculty | Oriental medicine faculty | Herbal practitioners | Psychiatrists | Therapists & Acupuncture counsellors | Acupuncture students, scientists | Treatment, Healing Centres, and Rehabilitation Houses | Relevant Association and Societies | Medical colleges | Business professionals (Directors, presidents, CEO) from Acupuncture market. 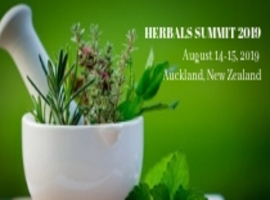 HERBALS SUMMIT 2019: 5th Global Summit on Herbals and Traditional Medicine is scheduled during August 14-15, 2019 Auckland, New Zealand with the theme Unwinding Nature’s Recipes for Health. It provides global platform to share thoughts on recent advances and technological breakthroughs in the Pathology and laboratory medicine. Herbals summit 2019 facilitates networking, B2B Meetings and opportunities for collaborations in the related field. Target audience are Herbalists, Alternative Medicine Practitioners, Complementary Medicine Practitioners, Researchers in the Field of Herbal And Traditional Medicine, Acupuncturists, Ayurveda, Naturopathy, People Who Believe in Natural Remedies to Explore Their Research, Practitioners of Natural Medicine, Medicine Professionals and Delegates. Personalized Medicine Congress 2019: 11th World Congress on Precision and Personalized Medicine is scheduled during August 14-15, 2019, Auckland, New Zealand with the theme Therapeutic approaches and New diagnostic technologies to Personalized Medicine. It provides global platform to share thoughts on recent advances and technological breakthroughs in Precision and Personalized Medicine. Personalized Medicine Congress 2019 facilitates networking, B2B Meetings and opportunities for collaborations in the related field. Target audience are Pathologists, Clinical Geneticist, Researchers Specialized from Molecular Genetics and Genomics, Physicians and Hospitalists, Research scholars, Industrial professionals and Student delegates from Biomedical, Pharmaceuticals and Telemedicine and Healthcare Sectors. Target Audience: Herbalists |TCM Faculty | Acupuncture faculty | Acupuncture practitioners | | Physiotherapist | Folk Medicine Faculty | Oriental medicine faculty | Herbal practitioners | Psychiatrists | Therapists & Acupuncture counselors | Acupuncture students, scientists | Treatment, Healing Centers, and Rehabilitation Houses | Relevant Association and Societies | Medical colleges | Business professionals (Directors, presidents, CEO) from Acupuncture market. 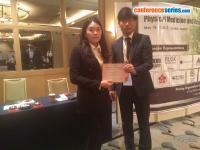 Conference Series is a blend of scientific research presentations and organizing national and international events which liaise with various research organizations, universities and individual scientists to host 3000+ Global Events in the year 2016-2017 at various beautiful destinations in USA, UK, Spain, Japan, Australia, France, Germany, Italy, UAE, Thailand, China and India the world. Conference Series has achieved incredible advancements in scientific field by building collaborations and association partnering with more than 1000 Scientific Associations across the world in a span of six years. 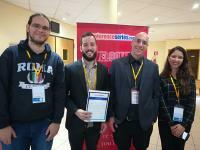 Conference Seriesconferences calendar also include International Symposiums and Workshops which are arranged in parallel to the scientific-sessions have been organized worldwide where recent discoveries on a particular theme topic is discussed in the presence of eminent personalities working in the similar field area. These scientific conferences provide a stage to the researchers and business professionals to exchange the latest discoveries from across the globe. Conference Series adds a fruitful contribution to the scientific community providing a free access to the highly accredited scientific data by publishing research researches in more than 500+ peer-reviewed Open Access journals. Conference Series boasts a readership base of 5 million members and has published more than 4 lakh research papers with the help of 100,000 editorial board members and 35,000 reviewers in various fields of science. We welcome the attendees from across the globe to our international meetings, Chinese Medicine (Germany), Herbals Summit (Thailand), Naturopathy (Australia), Acupuncture (USA), TraditionalMedicine (France), Alternative Medicine (UAE). 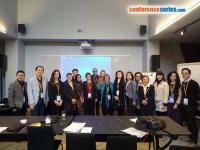 Alternative Healthcare Conferences International events organizes B2B meetings, scientific collaborations and partnership as a part of its international conferences with the intent to enhance as well as explore new business opportunities and to establish a global platform to interact with experts worldwide. Alternative Healthcare Conferences events provide exciting opportunity to showcase the services of your company to the broad International audience. We would like to take the utmost pleasure in inviting you to Sponsor/ Exhibit at our event. Sponsors and exhibitors are always encouraged to advertise and promote themselves. Conference Series Alternative Healthcare Conferences provide an easy and affordable way to the sponsors and exhibitors to promote their program/organization/institution to the targeted academic as well as professional audience.